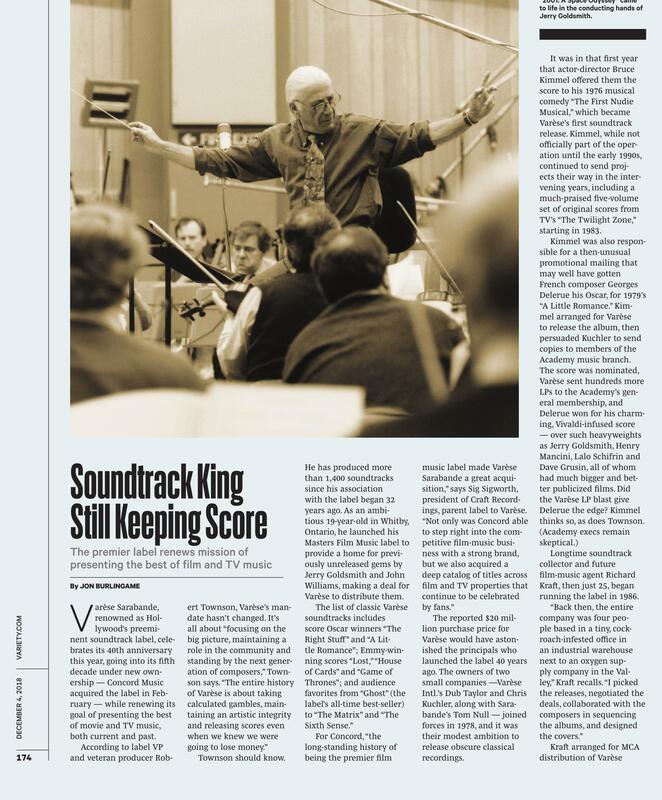 The venerable Varese Sarabande company — long seen as Hollywood’s leading soundtrack label — celebrates its 40th anniversary this year, so Variety asked me to look back at its history, interview composers about its impact, and research its biggest hits. 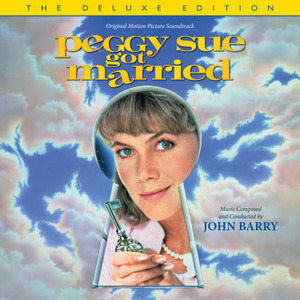 It was a surprisingly fun assignment, as its full backstory had not previously been told: how a small classical outfit accidentally became a movie soundtrack label, spawned a million-selling hit, and may have even won an Oscar for one composer (that’s in dispute, but it’s a good story). Here is the main story, about the label’s history; here is a top-10 rundown (assembled from SoundScan numbers and Varese executives’ memories); and here are some thoughts from grateful composers. This entry was posted in Composers, Film Music, Interviews and tagged composers on Varese, Robert Townson, Varese Sarabande, Varese top 10, Variety on December 5, 2018 by Jon Burlingame. I was so fascinated by the 42-years-late release of the composer’s final film score that I just had to write something about it for the L.A. Times. 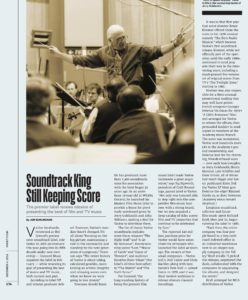 This entry was posted in Composers, Film Music, From the Files and tagged Aaron Copland, Los Angeles Times, Mark Leneker, Robert Townson, Something Wild, Varese Sarabande on May 11, 2003 by Jon Burlingame.